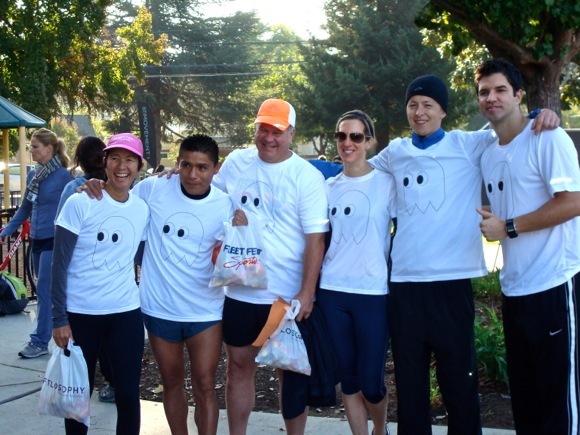 Lisa Taggart, who owns Fleet Feet Menlo Park along with husband Jim Gothers, sent in some fun photos from the stores annual 5K Ghost Run, which was held yesterday, taken near the finish area in Nealon Park. Photo top shows the costume contest winners (two Star Wars families and Zom-bees) with contest judge Wendy Bell from Brooks (sponsor) and Lisa and Jim (far right). the first kid was Kip Gorey (23:25).